Pamela J. Floyd, Enrolled agent aka "the tax ma'am"
The tax preparation process can be extremely time consuming, confusing and even intimidating for many taxpayers. We can help! "Keep More, Pay Less!" is our motto. 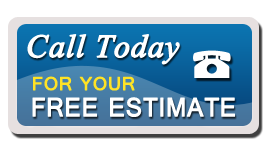 Our clients often comment that we are more thorough than other preparers. Being thorough is the only way that we achieve our main goal, which is to make sure no one pays any more tax than they are legally obligated to pay. Pam is a licensed Enrolled Agent and has over 25 years of experience in tax preparation and consulting for clients, businesses, trusts and estates from coast to coast. An Enrolled Agent (EA) is an individual who has successfully passed a two-day IRS exam demonstrating technical competence in the field of taxation. EAs can represent taxpayers before all administrative levels of the Internal Revenue Service. Unlike attorneys and CPAs, who may or may not choose to specialize in tax preparation, all EAs specialize in taxation. EAs are the only taxpayer representatives who receive their right to practice from the United States government. 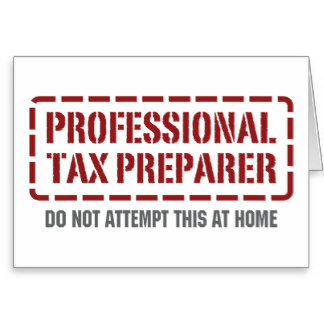 In other words, even if you don't have Pam prepare your taxes, if your tax situation is at all complicated, find an EA to help you! We strive to offer the most committed, efficient and professional service our clients have ever experienced. Pam specializes in small business tax returns. Whether you need assistance with business, corporate, partnership, LLC, estate, trust or personal tax returns, we are ready to work for you. Tax Rates are going down (a bit) for everyone. Standard Deduction Increased to $24,000 for married individuals filing a joint return, $18,000 for head-of-household filers, and $12,000 for single taxpayers. Capital Gains rate changes: the 15% breakpoint is: $77,200 for joint returns and surviving spouses, $51,700 for heads of household and $38,600 for other unmarried individuals. The 20% breakpoint is $479,000 for joint returns and surviving spouses, $452,400 for heads of household, and $425,800 for other unmarried individuals. Gambling Loss Limitation Modified to provide that all deductions for expenses incurred in carrying out wagering transactions, and not just gambling losses, are limited to the extent of gambling winnings. Child Tax Credit Increased to $2,000 (from $1000) with limitations. Expanded 529 Account “qualified higher education expenses” now include tuition at an elementary or secondary public, private or religious school, up to a $10,000 limit per tax year. Limited Deductible Mortgage Interest. The deduction for interest on home EQUITY indebtedness is suspended, and the deduction for mortgage interest is limited to underlying indebtedness of up to $750,000. Medical Expense Deduction Reduced to 7.5% (from 10%). Miscellaneous Deductions Suspended (from 2% floor). Repeal of Obamacare Individual Mandate. The amount of the individual shared responsibility payment is reduced to zero. People without health insurance will no longer be penalized AFTER 2018. Buying, selling or exchanging any real property (land or building); this includes converting your residence to a rental. Making gifts to any one person totaling $13,000 or more in any one year. Taking out a loan using your home or other real property as security. Making charitable contributions of appreciated property. Drawing from or rolling over your retirement plan or IRA. Needing to talk to a friendly voice.